Flowing from Mt. 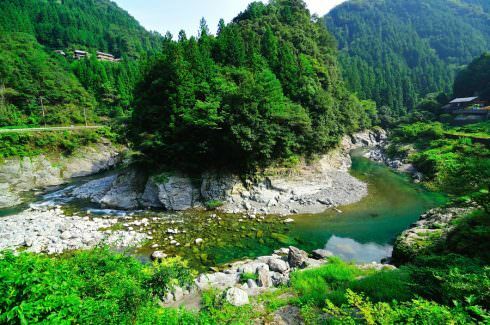 Tsurugi the Anabuki River is the clearest river on Shikoku, and is beautiful all throughout the year. With camping sites along the riverbanks and pristine surroundings, it is an outstanding stream for trout fishing.